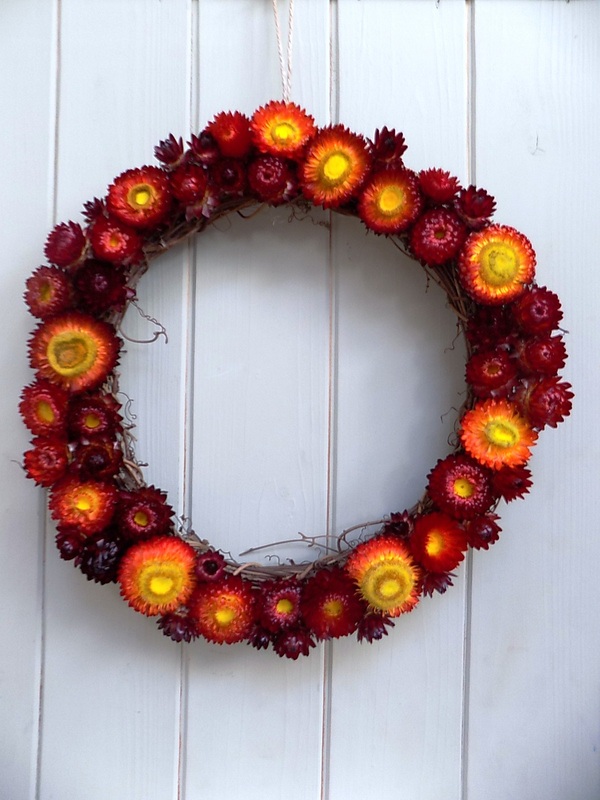 All the more reason to celebrate the wonderful, richly-coloured autumn flowers while they are here. In fact, it is vital to keep picking and dead-heading dahlias and annual flowers if you want them to keep producing flowers all the way through the autumn. Dahlias really are a must-have at this time of year as they flower all summer and autumn long. 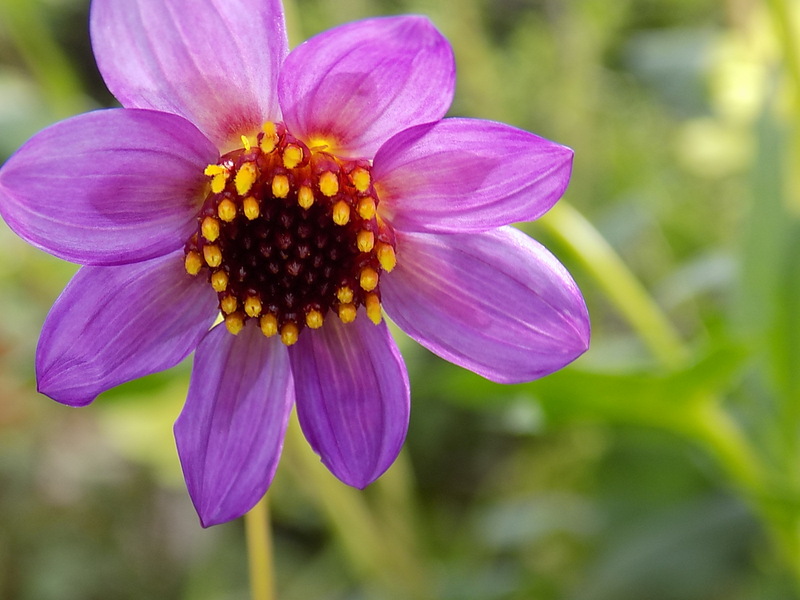 With their wide-range of flower type and colourways, there is a Dahlia to suit everyone. 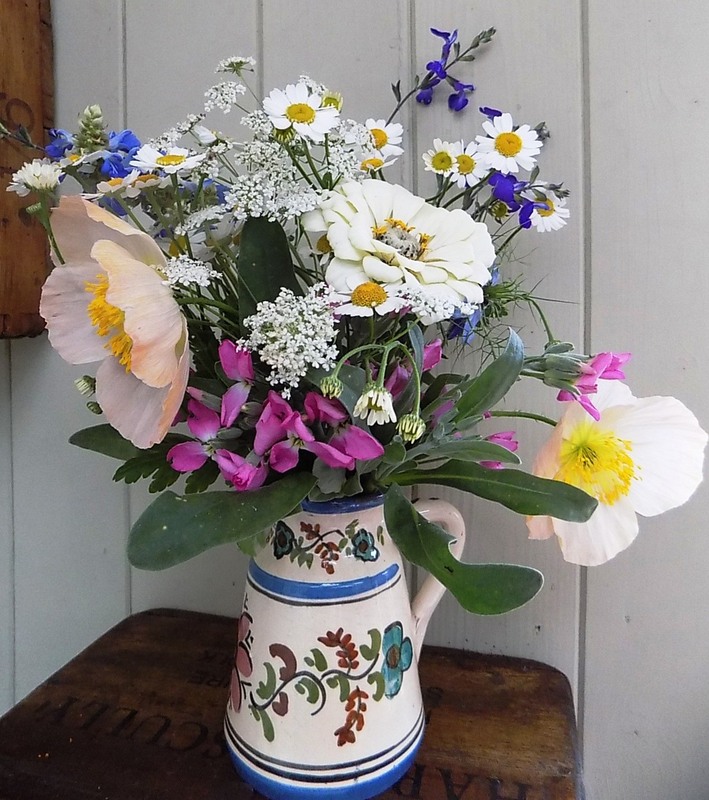 Back in early summer, just as my first hardy annuls were coming into flower, I sowed some quick-growing Icelandic poppies and '10 week' Stocks and have been rewarded by a fresh crop of very summery-looking flowers, as seen in my lovely little pottery jug above. 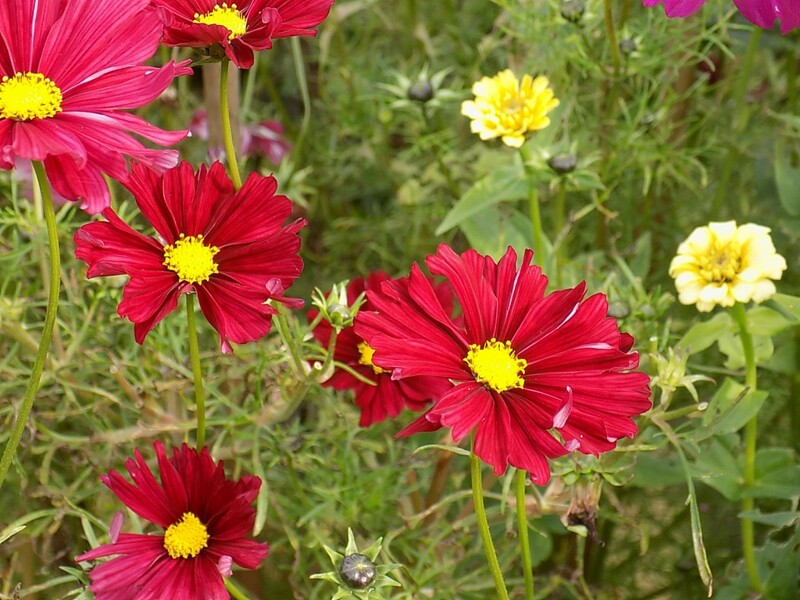 Successional sowing will make the most of your cutting garden as just as your first crop of annuals is waning, a new crop can take over. Asters and Sedums are classic autumn flowers which I grow in the garden borders. They are joined by Guaras, Salvias and Verbena bonariensis which all have a long flowering period. If you have limited space in borders, as we do, it's a good idea to choose plants that have a long season of interest. In the dedicated cutting beds, the Dahlias are looking stunning and annual Cosmos, Zinnias, Scabious, Helichrysum and Statice are all still producing flowers after a good 3 months of constant flowering. 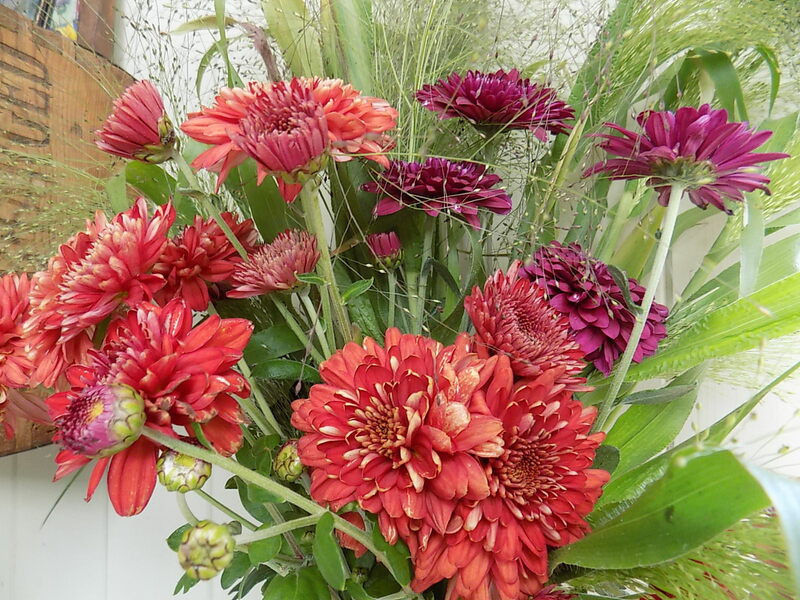 Chrysanthemums are very useful for late flowers and come in some lovely autumnal colours. Some late-flowering varieties will flower into December if you bring them into a greenhouse, potting shed or conservatory before the cold weather sets in. Autumn-flowering cyclamen (Cyclamen hederifolium) provide welcome colour in pots or at the front of borders. 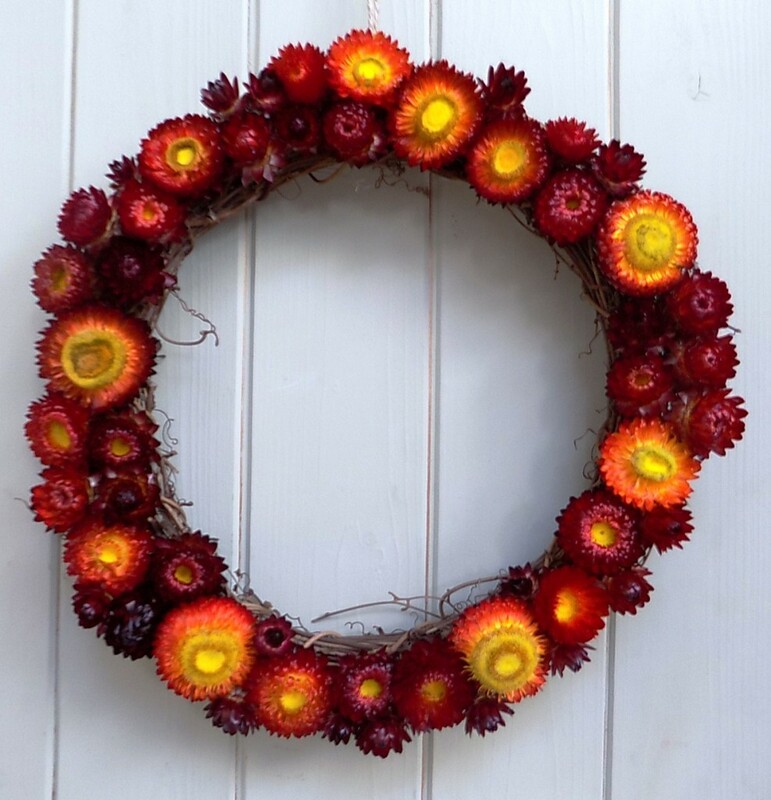 Pressing flowers, drying everlasting flowers (such as those in my autumn wreath) and harvesting seed-heads are all brilliant ways of enjoying the beauty of flowers during the winter. 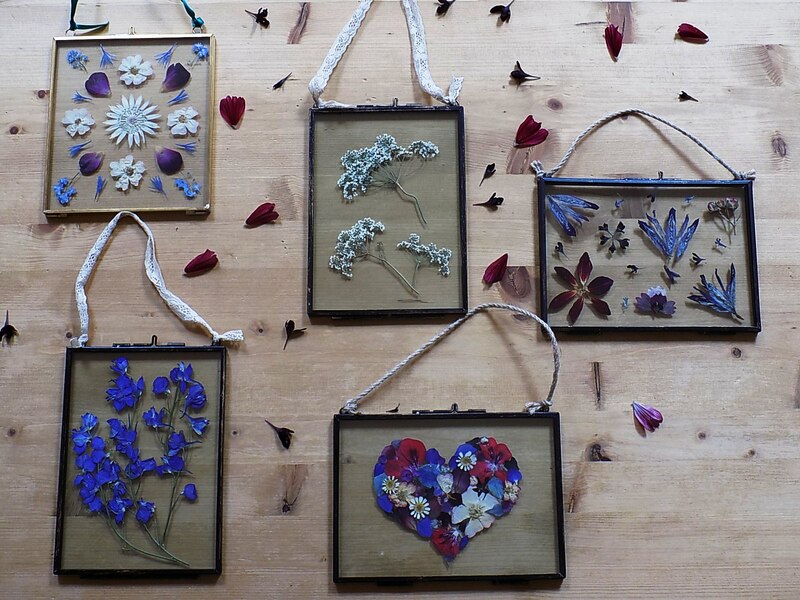 Next month, I'll focus on my latest obsession with pressing and preserving cut flowers to make pressed flower pictures, cards and dried flower wreaths available in my Etsy shop.